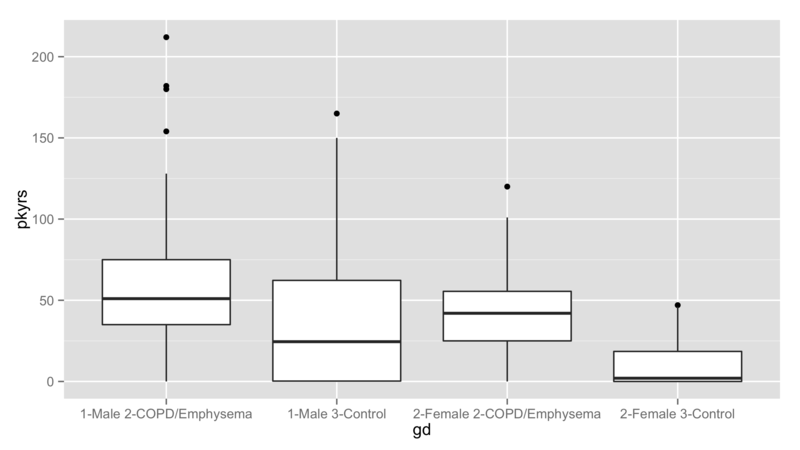 Here’s a boxplot of pack-years distributions, stratified by gender and disease status. The stratum labels become clumsy. What is a gene’s function?